What would it be like to be at a gathering with Chaka Khan, Diana Ross, Aretha Franklin, Mahalia Jackson, Whitney Houston, Adele, Natalie Cole, Donna Summer, Etta James, Anita Baker, Janis Joplin and other big names of soul? Three words come to mind--amazing, awesome & possible. Possible because of Black Ensemble Theater's (B.E.T.) 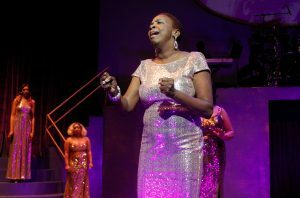 ambitious production "Women of Soul" (With a Tribute to the Queen,) now running at the theater at 4450 N. Clark Street. 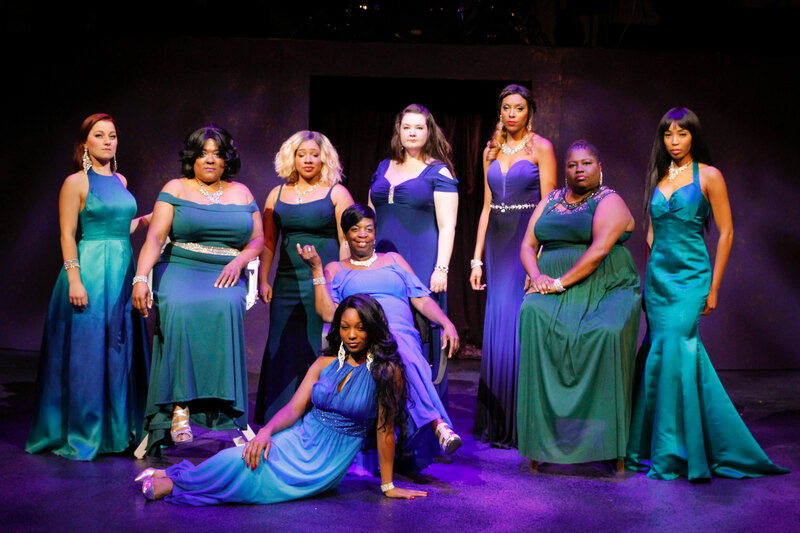 The powerful production, written and directed by Associate Director Daryl D. Brook, takes the audience on a journey through the world of soul and its biggest female stars. The cast features nine talented women, including Cynthia Carter, Robin DaSilva, Hannah Efsits, Jerica Exum, Colleen Perry, Rhonda Preston, Jessica Seals, Ariel Williams and Jayla Williams-Craig and lone male Dwight Neal who sing over two dozen hits spanning genres of gospel, blues, hip hop, old school and new age. Along the way you'll learn about their struggles, heartbreaks, successes, drug problems, cheating spouses, greedy record producers and more. You'll hear Mahalia Jackson's “Trouble of the World,” Etta James's “I'd Rather Go Blind” Janis Joplin's “Cry Baby” Diana Ross's “I'm Coming Out” and Natalie Cole's “This Will Be An Everlasting Love,” backed by musical director/arranger Robert Reddrick's five piece on-stage band featuring Adam Sherod (keyboards), Dolpha Fowler Jr. (keyboard 2), Mark Miller (bass), Gary Baker (guitar) and Reddrick on drums. If that isn't enough, Aretha Franklin is celebrated in a medley of songs that bring joy and tears to the eyes of many audience members as they remember the “Natural Woman” who we lost in August. 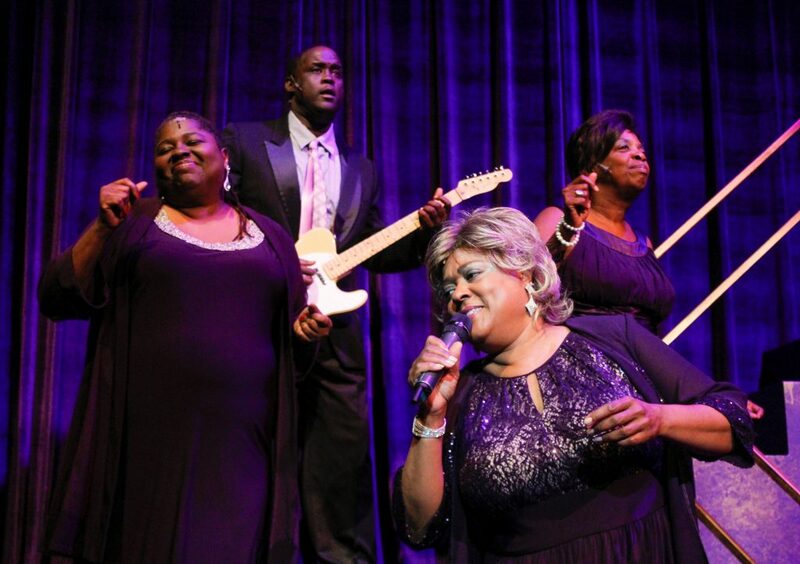 "Women of Soul" brings out the intense emotion arising from soul music through the powerful booming voices of the talented cast creating a once-in-a-lifetime experience. Title: "Women of Soul (With a Tribute to the Queen)"
Ticket prices: Tickets are $55 on Thursdays and Saturday matinees; $65 on Fridays, Saturday evenings and Sunday matinees. (773) 769-4451.